The hunt is on! Inspired by the 1987 action classic Predator, the hunted becomes a 4-inch scale vinyl figure. 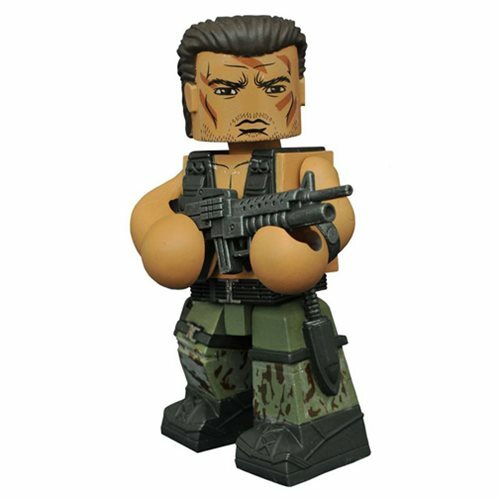 Sculpted in the style of a Minimates block figure, this Vinimate strikes a pose straight out of the film, with a ball-jointed neck to further customize your display. The Predator Dutch Vinimate Figure comes packaged in a full-color window box. Ages 15 and up.